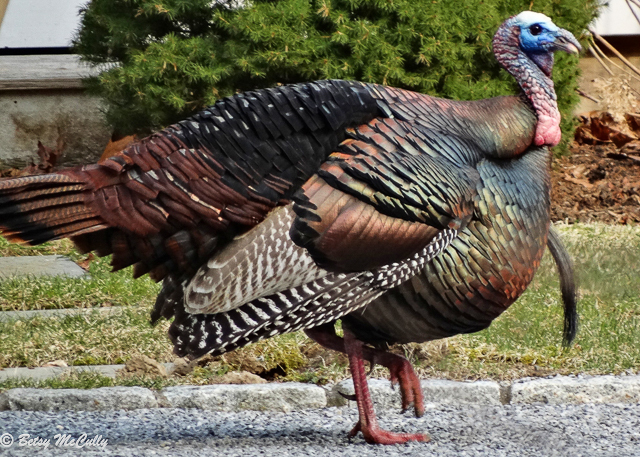 Wild Turkey (Meleagris gallopavo). Male in display. Open woodlands. Year-round. Breeder.